Editor's note: Today we hear from Daniel Durgan, IT Business Partner at ISG, an international construction services company delivering fit out, construction, engineering services and a range of specialist solutions. Daniel explains why there’s never been a better time to digitally transform the construction industry. The construction industry is undergoing a digital revolution. Companies that have for decades relied heavily on printed contracts, drawings and documents are now moving to online tools to save time and money and keep productivity up in a marketplace that’s more expansive and more demanding. At ISG, we’re using Google’s cloud-based tools to ensure that we’re at the forefront of this industry shift. With Google Apps, we’re taking full advantage of technology-enhanced collaboration, productivity and mobility. Over the course of a few hours, I can use Google Drive to review a presentation on my tablet, Gmail to check emails and Google Calendar to schedule meetings on my phone while away from the office. I can also jump into a meeting with colleagues from around the world from any of the 26 Chromeboxes that are set up in one of our conference rooms. Whether I’m on a site visit, in the office or on the move, Google Apps allows me to continue working and collaborating with my team. It’s essential for our business to control who has access to certain documents. Drawings must only be issued to authorised people, and each person must review the latest version as it’s being developed. Drive enables us to completely control what’s shared inside and outside of our company — the fact that our team alone has 1.5 million files in Drive speaks to our reliance on the tool for secure file storage. Google Docs allows us to collaborate on shared documents at the same time, no matter where we are in the world. I can start shaping up a proposal in London and invite a colleague in Europe to work on it with me. There’s also more of a human element. When someone comments, you see their face next to it — it ties you emotionally to the process. We keep track of all our revisions in Sheets to monitor our progress. And we can always instant message each other with quick questions or suggestions, so we feel connected, all the time. A lot of what we do is very visual. It’s hard to describe building plans and designs over the phone. With Hangouts, we can bring everyone together to discuss these plans and drawings as if we were all in the same room. We can move quickly from stakeholders to contractors to suppliers to make sure the right people are involved in the right conversations. A big part of my team’s role is to help build relationships and ensure employees communicate effectively and get the support they need. When we sent out a survey using Forms to ask all our staff what they’d like to see from IT, they told us they wanted to find out more about our Google tools. We’re using Synergise Google Apps Training to help our stakeholders go beyond the basics and use the suite to its full potential. 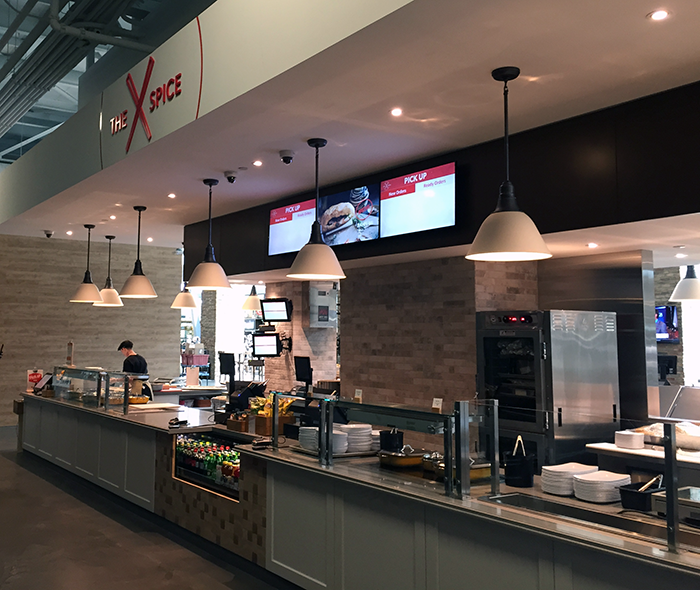 Quality is extremely important in our business, so we carry out frequent on-site check-ins to ensure teams are following the proper processes and delivering a high standard of construction correctly the first time. When we do these quality checks, we submit recommendations and observations using Forms on Android tablets. The information is imported into Sheets, and using Apps Script, we create dashboards, so employees across teams and functions can easily track the check-ins in real time. We’re improving the way we work all the time, and that’s thanks to the support and enthusiasm of our employees. Many of our automated solutions have been suggested by them, and it’s great to see how passionate they are about Google Apps. There’s also an excitement among my team around what the future holds for us and our industry with new tools at our dispense and a new way of working for our customers. Today, Google and Okta announced an expanded alliance to help large enterprises transition from legacy on-premise directory infrastructure to the cloud and foster improved productivity, secure collaboration and rapid innovation. Through this alliance, we’re expanding our relationship with Okta as a preferred identity and access management partner in the large enterprise segment. Okta and Google will jointly deliver a flexible, multi-cloud reference architecture that enables large enterprises to securely migrate from on-premise legacy infrastructure to the cloud and seamlessly deploy and manage Google Apps and other SaaS applications. The Google-Okta reference architecture will enable a secure identity and access management solution for large enterprise customers by using Google as an authentication master and by using Okta as an identity bridge to address complex and advanced identity requirements. Using this reference architecture, enterprises can take advantage of Google’s scalable cloud infrastructure, state of the art account security and comprehensive application integrations. Enterprises can also benefit from Okta’s enterprise-grade identity and access management functionalities, such as bridging authentication for over 4,000 on-prem and cloud-based applications, and connecting distributed, multi-forest Active Directory environments. Google and Okta will also equip global systems integrators (GSIs), Google resellers and independent software vendors (ISVs) with training, tools and support that enterprises need to accelerate their transformation to the cloud. We’re excited to partner with Okta with the shared aim of accelerating the large enterprise shift from legacy directory infrastructure to the cloud. Editor's update August 31, 2017: Google is certified under the Swiss-U.S. Privacy Shield framework as well as of April 18, 2017. Google's certificate is accessible here. Yesterday, we submitted our certification of adherence to the EU-U.S. Privacy Shield framework. The Privacy Shield establishes a new way to comply with European Union data protection requirements when transferring personal data from the EU to the United States during transatlantic commerce. As outlined in our Google Europe blog post, this is a significant milestone for the protection of Europeans’ personal data and promotes trust in the digital economy. Google has committed to applying the Privacy Shield’s principles and safeguards to EU-U.S. transfers of personal data. No action is required on our customers’ part to benefit from the protection of this framework. Google’s certificate will soon be accessible here. In addition to the Privacy Shield, we’ll continue to offer EU Model Contract Clauses to our Google Apps and Google Cloud Platform customers. Millions of organizations rely on our cloud services to run their businesses, and we’re committed to helping them meet their regulatory requirements by maintaining a diverse set of compliance tools. Kelly: We're always linking our docs, spreadsheets or slide decks into our Asana tasks, which is easy to do with the Asana and Google Drive integration. Asana is where we make our work actionable, so the task becomes the place where all the relevant information is stored. Connecting Google and Asana makes it easy to ensure that everyone’s working out of the right documents. We’ve added a good deal of efficiency to our workflow by not duplicating efforts across teams. How has productivity improved on your team by integrating Asana and Google apps? Kyle: Two things that matter deeply to us as a growing team are productivity and priorities. Having everything in the same central place saves us so much time as a team, and Google Apps and Asana have given everyone a sense of what they need to be working on and when. You mentioned that you’re constantly working collaboratively at Looker. How does using Google and Asana side by side make working together easier? Kelly: With these tools that we’re now using, it’s so much easier to be collaborative and build a sense of trust and empowerment within our team. Whether we’re making a comment in a Google Doc or “hearting” someone’s task in Asana, we’re having a lot more fun moving our work forward together. We hope you’ve enjoyed reading about how Looker makes work fun and collaborative using Google Apps with Asana. You can learn more and enable Asana in your Google Apps account by visiting their application listing in the Google Apps Marketplace. Editor's note: Today we speak with Kyle Coleman, Director of Sales Development and Kelly Payne, Customer Programs Manager at Looker, a data analytics software company that makes deep data understandable and useable for business teams. Looker uses Google Apps and Asana to track and collaborate on all their work. Can you tell us about Looker and why the company needed collaboration and productivity tools? Kelly: Our team at Looker is building software that helps business teams find, explore and understand the data that matters to them. As a fast growing startup, we think a lot about scaling our team and processes effectively and efficiently. We need the right tools do this well. Kyle: We’re heavy users of Gmail, Google Calendar, Google Docs, Sheets and Slides. We can easily share our work cross-functionally and always feel confident that the person we’re working with has the most up-to-date version. Kelly: We’re constantly pulling up a Google Doc to have everyone work from the same place at the same time. There’s a huge benefit to having our work and discussions update in real time and to easily share what we’re working on with anyone in our organization. How and why does your team use Asana? Kyle: We use Asana for important cross-functional workflows like new hire on-boarding, sales development and for almost all of our marketing team’s work. From campaign management to launches, every piece of content we publish — whether video, customer case study or blog post — is tracked in Asana. There’s so many moving pieces involved in a complex and collaborative workflow; Asana lets us track every detail. Kelly: With Asana, we can more easily keep track of who's doing what, and stay updated on the progress of projects. As we’ve grown, Asana has helped us identify how repeated tasks can become standardized processes. Developing process standards brings the clarity and accountability that help us work together well. How are you using Asana and Google Apps together? Editor's note: Today we hear from Kevin Mako, founder of both Mako Invent, a product development firm that provides design, prototyping, manufacturing, distribution and patenting services to inventors and Mako Design, a firm that provides industrial design, engineering and electronic hardware development services to consumer electronics manufacturers. Read why Mako Invent and Mako Design employees work in Chrome browser and Google Apps to help clients bring new products from idea to market. I’m an entrepreneur at heart: in high school, I sold golf shirts out of the trunk of my car, and in university I began sourcing products overseas. These experiences taught me that many inventors need help turning their ideas into full-fledged businesses. In 2006, before I graduated from university, I started Mako Invent to do just that. In the past year alone, we launched more than 150 products from keyboards to stoves to razors and screwdrivers. 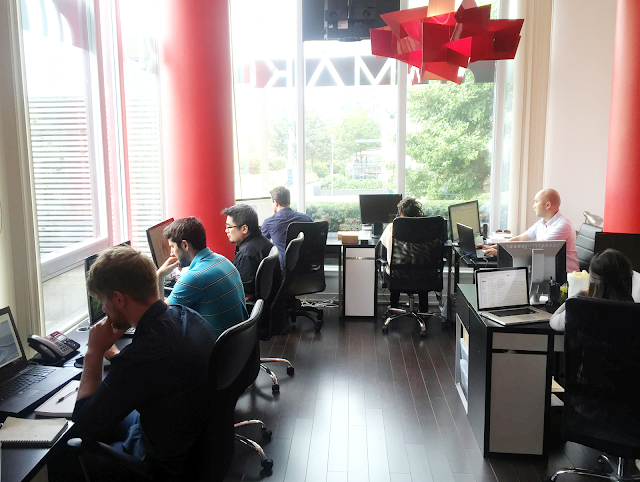 We’re now a 25-employee company with offices in Toronto, Austin and London. We rely on Google Chrome browser to operate as a nimble and growing team. We spend much of our time working in web-based apps, so we’re almost always using Chrome browser. I can pre-install bookmarks for new employees using Chrome browser, so my team can instantly access design prototyping, CRM and engineering tools from within the browser in one click. I also bookmark design publications Core77 and Invention Magazine to encourage them to keep up with industry news. This means the team can easily and reliably access information as they’re designing a new product. Chrome browser also helps us stay organized. It provides the same experience on any device, so employees see the exact same bookmarks and extensions when they switch from desktop to smartphone, and can instantly pick up where they left off from wherever they may be working. Chrome integrates with Google Apps, which is a huge advantage since we use Apps for everything. Managing Chrome browser is simple and easy. I’m Mako’s head of IT as well as its founder, so I’m always looking for ways to save time on maintaining our technology. Chrome automatically updates every six weeks, so I know we’re using the latest, most secure version without installing anything. I use Google Admin console to easily keep track of and manage users, groups and browser settings. 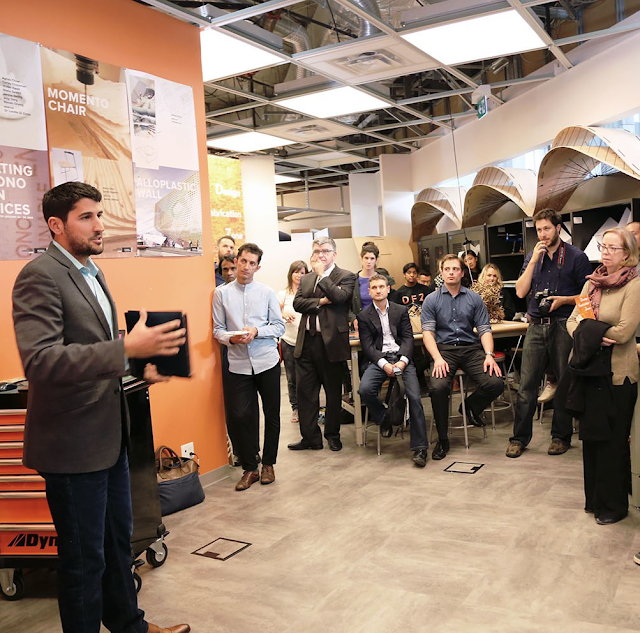 As a small business owner, I’m energized by helping entrepreneurs bring their ideas to life. Google’s fast, reliable tools allow me to run a lean business — I can keep IT costs low without sacrificing the quality of the technology we use. With Chrome, I can be a more productive business-owner, and my company can help more early-stage entrepreneurs. Android 7.0 is officially here with plenty of Nougat goodness. Following five developer previews since March, Nougat improves on prior versions of Android with strengthened security features, improved management capabilities and increased user control that can boost productivity for your employees. With the release of Nougat, Android’s security features can now be applied to work apps instead of the device itself, making it easier to use an Android phone or tablet while still maintaining a secure device. 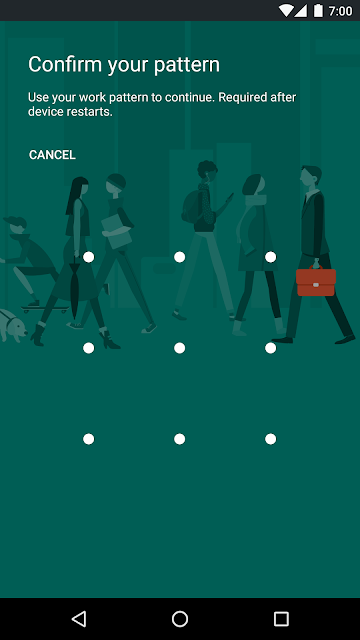 This also saves on the time and hassle of continuously entering lengthy, complex passcodes to access devices. With Android Nougat, if your company uses VPN, your work network traffic data is better protected from the time a device boots up, thanks to the new always on VPN feature. Data won’t be traveling from a work phone or tablet over unsecured connections with this function, and there’s nothing that your employees have to do to enable this extra security feature if your VPN client supports it. In addition to new security features, Android Nougat brings a number of features that your workforce will appreciate. The ability to open and resize two Android apps on the same screen gives employees more information to make smarter business decisions while multitasking. And they don’t have to leave an app to communicate, thanks to Direct Reply, which lets them respond to notifications without ever leaving the app they’re working in. It’s easier to collaborate with team members too. Searching for work contacts can be done in both the personal dialer and messenger app. Plus employees have access to corporate directory contacts for incoming calls. Devices can run longer on a single charge with Android Nougat too as we’ve built on the Doze battery optimizations introduced in Android Marshmallow. Along with more power efficiency on mobile devices from Doze, the Data Saver function lets employees monitor and limit data use in apps to minimize mobile broadband charges. 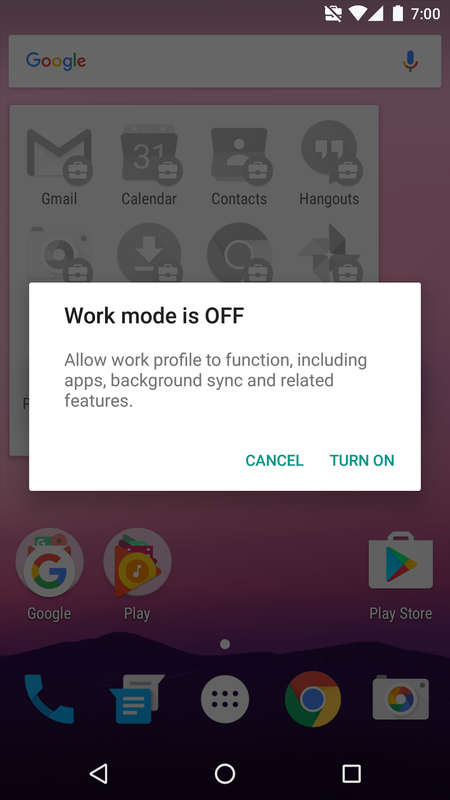 And since we can’t work all the time, your employees can improve their work-life balance with the new work mode setting in Android Nougat. For devices with a work profile, turning off work mode allows the phone or tablet to be used for personal apps without work interruptions during down time. To learn more about these and many other strengthened security features available in Android Nougat, check out our informational page on what’s new in Android N for work and tune in to the recording of our latest Hangout on Air covering the latest Android improvements for businesses, both large and small. As any teacher would tell you, the classroom isn’t the only place where learning happens — it’s just the tip of the iceberg. From parents who help students with homework, to extracurriculars, field trips and more, there are so many ways students can learn beyond the walls of the classroom. This is why today we’re announcing new features to help teachers inspire learning for students, regardless of place or time. Parent participation has a major impact on student learning. Today, we’re launching a new feature in Google Classroom that will automatically share summaries of student work with parents. Once invited by a teacher, parents and guardians can receive automated daily or weekly email summaries of student work and class announcements, making it easier to stay up-to-date on what’s happening in the classroom. When teachers want to help students understand complex math or science concepts, visuals — like drawings on a whiteboard — can help. But how does this work when students and teachers aren’t in the classroom together? Today, we’re announcing the ability to annotate documents in the Google Classroom mobile app. Using annotations, students can complete assignments, sketch out math problems or even create visuals of creative ideas directly on their devices. This gives students a portable classroom whiteboard on which they can easily draw and sketch. Now, thinking through complex homework challenges from home, school or on the bus is even easier. Have you ever wondered what it would be like to visit the White House Kitchen Garden or what it would be like to travel inside the human body? Today we’re announcing new Expeditions that bring students far beyond the usual places they can travel. With these adventures, like a visit to Bhutan or an exploration of the human vascular systems, teachers are able to deeply immerse students in lessons, creating vivid and memorable learning experiences. In addition, the Expeditions app is coming soon to iOS. More teachers, including those who use iPads, will be able to share Expeditions with their students by using full-screen mode on the devices in place of a VR viewer. With over 200 Expeditions available, we’re excited for them to experience these virtual field trips on more devices. A more organized Classroom. To make Classroom even easier to use, teachers can organize the class stream by adding topics to posts, and teachers and students can filter the stream for specific topics. Plus, users can now preview documents, PDFs, images and videos, all without leaving Classroom. Share your screens wirelessly at school. With the latest Chrome update, Cast for Education is now available to all teachers and students. This free Chrome app carries video and audio across complex school networks and has built-in controls for teachers — no new hardware required. Look out for updates including support for secondary domains coming soon. Google Forms get an upgrade with images. In Forms, teachers can now add images to questions or as multiple choice answers. This is perfect for subjects like math when students need to show their understanding of diagrams and graphs. Inbox by Gmail for the classroom. Inbox by Gmail is rolling out to Google for Education users. Coming soon, email notifications from Classroom will be intelligently grouped in Inbox, making it easy for teachers and students to find important updates and highlights. Whether students are at home or in the classroom, teachers can continue to inspire and support their curiosity with Expeditions, Classroom, Apps and Chromebooks. Stay tuned this week on Google+ and Twitter for more details on these exciting new tools. Editor's note: Today we hear from Dan Tisone, VP of Global IT at BioDot, a low volume dispensing manufacturer specializing in biotech applications. 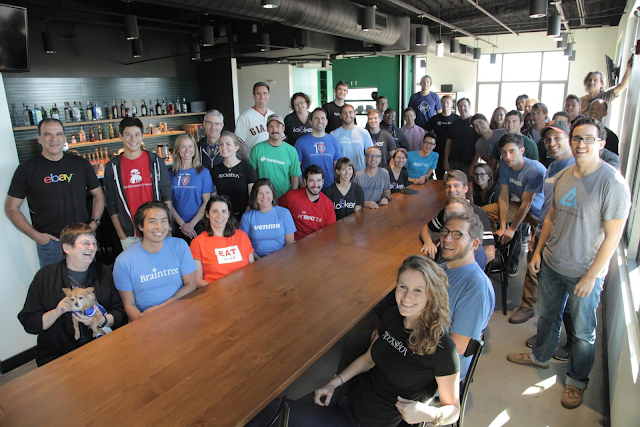 Learn how BioDot’s 60 employees use Android and Chrome devices to work closely together and build better products. I’ve led IT at BioDot since my father, a former research and development engineer at Nokia Bell Labs, founded the company in 1994. Since then, I’ve seen workplace technology evolve from clunky desktops and servers to the fast, cloud-based devices we use today. Our transition to Google started with Gmail in 2009. Through Gmail we discovered Google Apps like Drive, Hangouts and Docs. Google Apps are affordable and easy to use, so when we needed to purchase computers and smartphones for our employees the following year, we chose Google Chrome and Android products. Today, we have 42 Android smartphones, as well as a few dozen Chromebooks and Chromeboxes. As an international business headquartered in Southern California with satellite offices in Asia and Europe, our sales team travels a great deal, and tends to use their smartphones more than laptops, whether they’re at the airport, in between meetings or in a taxi. They use Google Docs to review contracts and Google Slides to create new business presentations from their Android phones while traveling. They can even update Pipedrive, our CRM platform, through the mobile app. I install work apps on each device using Google Mobile Device Management so employees can access required work apps and install any other pre-approved apps from the Play for Work Store. I can securely manage all devices with this central console, too. If an employee accidentally installs an app or downloads malware, I receive an alert and can fix the problem immediately. Setting up Chromebooks is simple, too. It used to take me hours to deploy our old laptops. 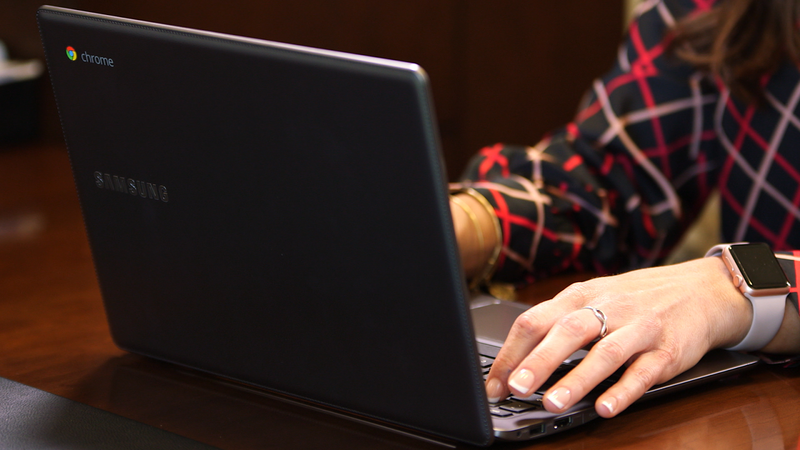 Each Chromebook takes minutes to set up — no time-consuming installations required. As BioDot’s sole IT staff member, it can be difficult to quickly deploy new devices while ensuring the security of every company device around the world. Chrome makes this easier. Cloud-based Android devices also foster a collaborative work environment. For example, when the manufacturing team is assembling a new medical dispenser in the factory, they mark up the schematic diagram in red pen to show which parts don’t work. They used to snail-mail this marked up diagram to our engineers, who are hundreds or thousands of miles away in an office. Now, the manufacturing team snaps a picture of the schematic with their Android phone and uploads it to Google Drive, so engineers can see their revisions immediately. This saves our teams a few days’ delay, so they can iterate faster, and ultimately build better products in a shorter timeframe. Google Apps also allows us to be more productive and efficient. Instead of taking a one-day trip to meet with a prospect for the first time, sales executives are starting to use Google Hangouts. This saves our company around $1,000 for each trip. When you think about the hundreds of trips salespeople take throughout the year, these savings go a long way — especially for a small company. Switching to Google Apps, and subsequently Chrome and Android devices helps BioDot run faster and more smoothly. Employees, from tech-savvy millennials to employees who were new to smartphones, now rely on Android and Chrome devices to work together and complete tasks, whether they’re in the office, on the road or at one of our manufacturing facilities. Editor's note: Today we hear from Ed Obuchowski, Senior VP of Advisor Technology Solutions at Charles Schwab, one of the largest public brokerage and banking companies in the U.S. 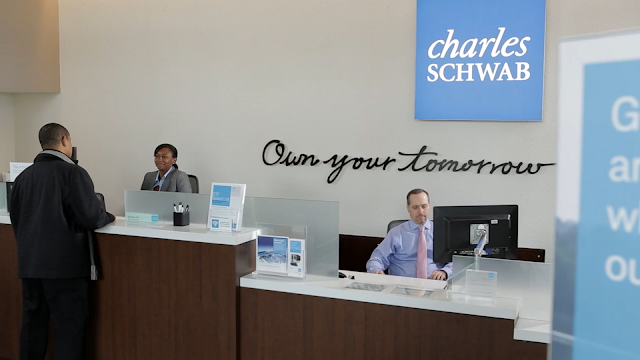 Learn how Charles Schwab launched Schwab Intelligent Portfolios in 250 branches nationwide using Google Chromebooks. If you’d like to learn more about how Chrome devices can be used as kiosks, register here for our August 17th Hangout on Air. To find out how Chromebooks can be used as shared devices, register for our August 18th segment here. At Charles Schwab, we believe in the power of investing to transform people’s lives. Last year, we launched Schwab Intelligent Portfolios, an online investment advisory service that uses sophisticated computer algorithms to help clients invest smarter. It was a huge opportunity for us to innovate and offer our clients more options when it comes to investing. In order to launch successfully, we needed an intuitive interface that not only educated potential clients about our product but also made it easy to sign up. We tested several laptops and tablets that weren’t the right fit, before I reached out to Google. That was on a Friday and the following Monday, Google engineers came into our Phoenix engineering facility. By lunchtime, we landed on a solution that was quick to deploy, very easy to manage and use, and offered the high level of security that we demanded: Chromebooks. With help from Insight, a Google reseller, we rolled out 1,000 Chromebooks in 250 Charles Schwab branches in less than two months. Everything worked right out of the box — our IT team didn’t have to install any software or manually customize settings directly on the devices. Instead, they used Chrome device management to put each device in public session mode, so multiple clients could use the same Chrome device securely, without signing in. Our IT staff can implement specific settings, such as session length, which saves time on device management. 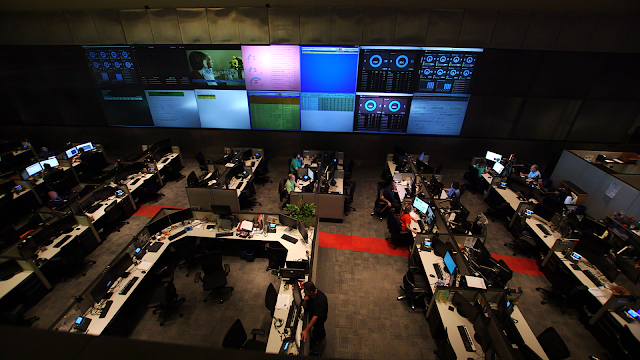 Today, our IT team spends fewer than 10 hours each week managing 1,700 devices in our branches across the country. Opening a Schwab Intelligent Portfolios account on a Chromebook is easy. When a client walks into one of our branches to learn more about automated investing, an associate hands the client a Chromebook. Within seconds, the client is guided to a Charles Schwab webpage, where he or she can learn about the product, complete a questionnaire and open an account. The whole process is electronic, so there’s no paperwork — minimizing errors and time spent on administration. Our clients trust us with their sensitive financial data and their money. Security has to be our biggest priority. Chromebooks’ rigorous security settings ensure our clients’ data is safe. Chromebooks manage software updates automatically, so devices are always running the latest and most secure version. Our IT staff limits session length and all data is wiped after a client finishes. IT can also block certain websites and limit Chromebooks to the private Schwab network, so data isn’t traversing public networks. If a device is stolen, there's no risk of data loss and the device is rendered virtually useless. Our partnership with Google has helped us deliver on our promise to provide best in class client experiences with ongoing innovation. 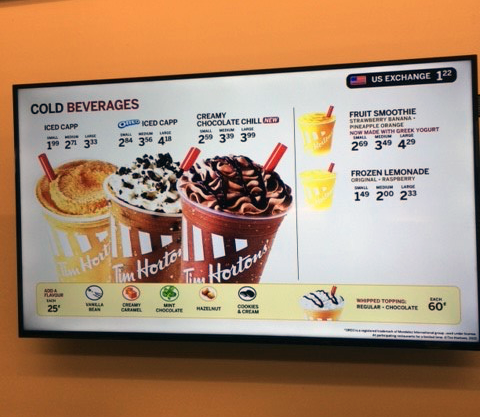 We’re also looking into installing Chromeboxes in kiosk mode in our branch lobbies, so clients can easily explore all of our other product offerings. Tens of thousands of clients have opened Intelligent Portfolios accounts using Chromebooks’ secure, client-friendly devices, and we've exceeded our targets nearly every month since the devices were deployed. 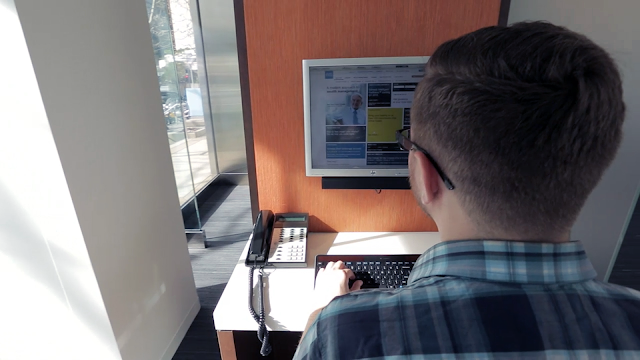 Here's more on how Charles Schwab's clients use Chromebooks to sign up for Schwab Intelligent Portfolios. To find out more on how Google helps keep your data and devices safe, view the Atmosphere: Rethinking Security in the Cloud digital event on demand here.